I have been itching to write this review however I thought it would be best to wait a month or so, so I could test it out properly! Now ladies, the dream of having totally smooth legs is no longer a dream! I have been shaving my legs since my early teens and I could never get super smooth legs, so I decided to try a different hair removal process and turned to epilation. Even the word ‘epilator‘ sounded a little scary to me but I bit the bullet and just went for it! I have had my eye on this epilator for quite some time but no matter how many Google searches I did, I couldn’t find a decent review on this particular epilator. So far I have used the efficiency, massage and shaver cap and I‘m really liking them! The shaver cap is miles better than my current shaver that I have had for quite a few years. It actually gives a close to the skin shave without scratching your skin as you go, which is what mine used to do all the time! Maybe I just needed a new shaver but meh! 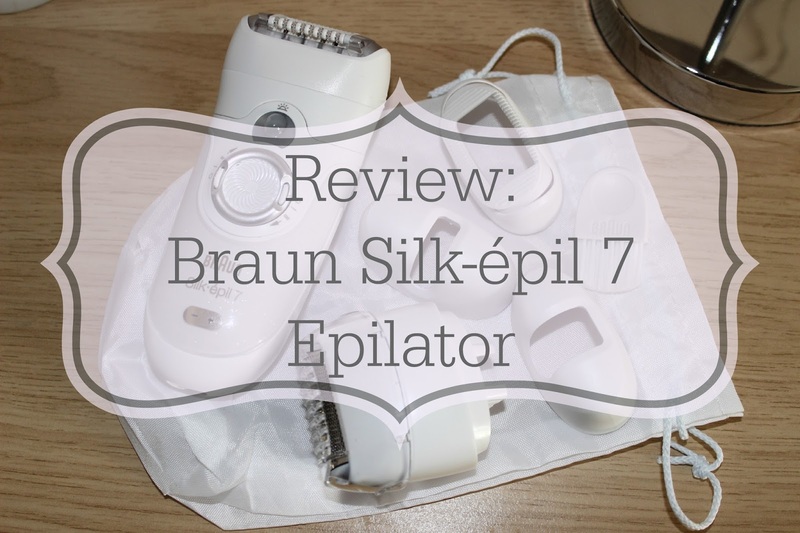 As for the epilator heads, as this was my first epilator I did stick with the massaging cap for quite some time until I felt brave enough to try out the efficiency cap and in all honestly, I didn’t notice a huge difference between the two. I mean both do hurt a bit, but you get used to it after a while and barely feel it. I haven’t been brave enough to use the epilator on my underarms or bikini area yet, however, I will most likely give it a go at some point. 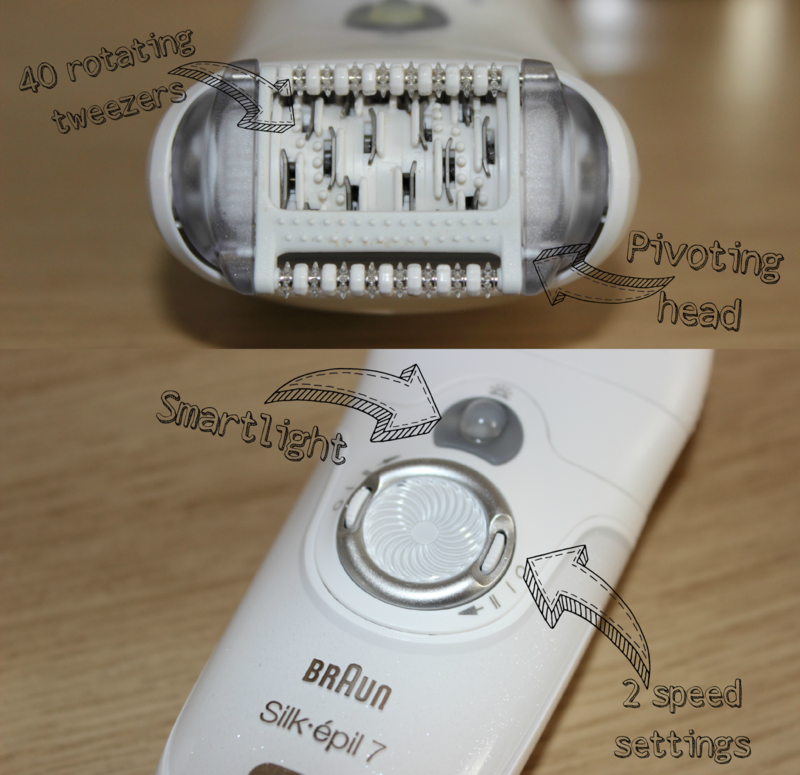 A great feature with this epilator is that it has a pivoting head which goes to the contours of your legs so you can get every last hair! Another thing I love is the Smartlight, it’s an extremely helpful feature as it shows up every hair in the epilators path so you can be sure to get every hair. It also has two-speed settings and the slower of which is good for beginners as it can ease you into the feeling the hairs being plucked out by the tweezers. Like I said, when I was looking for reviews on this epilator I couldn’t find any detailed reviews, so I wanted to write a post on every detail I can just in case someone is in the same position as me… What I really wanted to know was what it felt like and if it was painful or not. The only way I can describe how it feels is like getting a small static electric shock, just multiple times. As for is it painful? I didn’t think it was, the only times when it did hurt was if there was a hair that was slightly thicker than the rest, however, it all depends on your pain threshold. I am quite the weakling (a Nerf gun bullet bruises me!) but I didn’t find it painful enough that I needed to stop. It really is a case of once you get used to the feeling, you take no notice of it. However, if it gets too painful for you then epilate in the shower or bath, as this model can be used wet or dry. It helps to relax your skin and soothe any pain. You can buy this epilator from quite a few different places such as Boots, Superdrug and Amazon, however, I bought mine from eBay… Don’t worry it was brand new! I bought it from the shop Best Brands UK which is partnered with P&G. I paid £64.99 as opposed to the £129.99 price tag from Boots. I don’t think it is on offer anymore with Best Brands UK, however, I know there is an offer on Boots’ website where you get 10% off when you spend over £45 (as of 03/04/2014). If you have any more questions on epilators then feel free to ask below.